Genius idea! I mess around with a plumber's torch, but this is so much simpler. Very nice Mick. How large is your Tawa? Any chance we'll see video of this one day? i have made this recipe in so many different ways, it does not matter how hard i try i just cannot get them to stick to the tandoori wall they always fall into the tandoori over, much to the amusement of my guests LOL! Hi all, just thought i would bump this thread. I would recommend this for any newcomers wishing to attempt Naan breads. I cook all mine this way with great results. I hope your currying has gone from strength to strength. Steve is right to bump this thread - this works, folks. A slight mod for me is that I rub the top of the naan with plenty of oil before applying it to the cushion (I then apply water to the other surface to ensure that it sticks to the tawa, as per the instruction above). This means that if I have a batch of a dozen to do they won't stick to the cushion after I have pressed them onto the tawa. This works equally well for peshwari and keema naans, by the way. Currying is going well and i still check in on the site for a brush up on any information and light reading. Have you been getting into the kitchens or has that slowed down, always enjoy watching your videos. 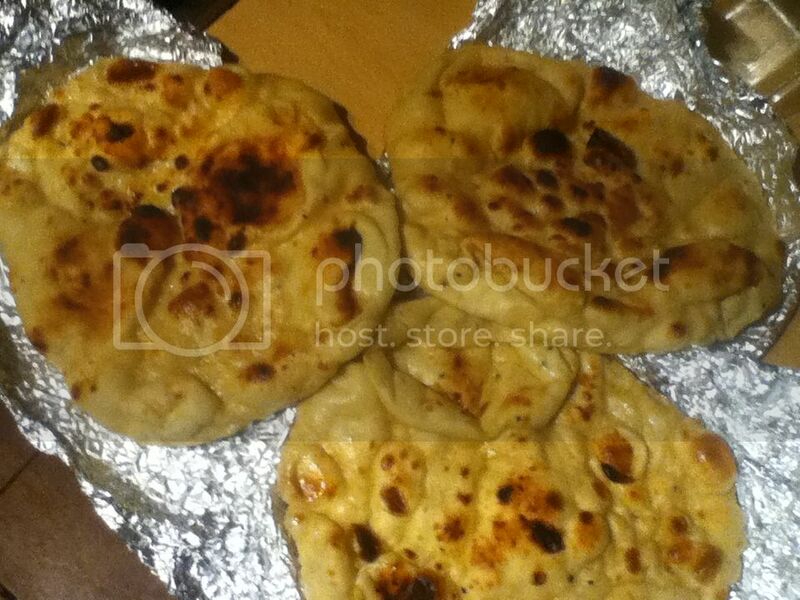 Took a couple of photos of some Naans i made using your method, it's a real winner for me.